The questions of how to handle the growing amount of traffic on networks, while still giving the customer a good experience, has led to polarised conclusions. ISPs have argued they should be allowed to "manage" access to websites – giving priority to those willing to pay for better bandwidth and delaying those who won’t – to ease congestion on their networks. But opponents as high-profile as Sir Tim Berners-Lee say this damages the freedom of the internet and are fighting to get protections put in place to keep it as open as possible. 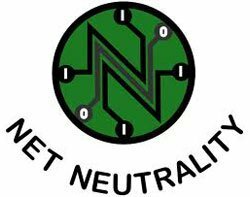 This side of the debate is known as net neutrality and, when it comes to fixed internet service providers such as Virgin Media or TalkTalk, it has been well publicised. The same issues apply to mobile operators though and, despite being in the public domain, few realise the implications of traffic management on their mobile devices. When trying to connect to a website through a mobile phone, you may blame bad service or even the website owner if it takes its time to load. However, it is often down to mobile networks accepting payments from large companies such as Google and Amazon to ensure they get the best network connection and their websites load the fastest. This means other websites may appear slow, but it could well be because they are not being given the same priority by mobile operators as other websites. During a roundtable yesterday at Idate's launch of the DigiWorld Yearbook - an annual report on the state of the networking world - Mark Falcon, head of economic regulation at 3, admitted his company was going down this route and believed it was the only way to handle the growth in traffic. “It is no surprise when you try to connect to Amazon and Google on your mobile that you get a quicker response,” he told Computer Weekly. Falcon defended this position, saying that his company – along with Vodafone, O2 and Everything Everywhere – had signed up to the Broadband Stakeholder’s Group code of conduct, to ensure transparency with their customers to inform them this is going on. However, Falcon couldn’t deny the code was not well-known outside technical circles and the industry could go further to let customers know this traffic management is happening. Jean-Michel Chapon, vice-president of DigiWorld UK, told Computer Weekly there was an issue in transparency for mobile internet users, but also the operators themselves. “We need more transparency between our users and what the likes of Google are doing, because they are selling us as the product,” he said. All companies along the value chain may soon be forced into more openness on this subject after the European Commission’s lead for the Digital Agenda, Neelie Kroes, proposed net neutrality legislation last month. A report on the state of the internet from the Body of European Regulators for Electronic Communications (BEREC) raised concerns on net neutrality, after it showed at least 20% of broadband users and up to half of mobile internet customers had contracts allowing their providers to restrict certain services during peak times. “Consumers need to know if they are getting Champagne or lesser sparkling wine,” she said. Kroes has said she won't force all providers to offer neutral internet services with no traffic management, but wanted to encourage citizens to make informed choices. All the Idate representatives agreed, whether they liked traffic management or net neutrality, that consumers needed to be better informed. Mike Short, vice-president of Telefonica Europe, was positive this could be achieved, having come out of the other side of the network issues surrounding its UK division, O2, and the exclusive deal it had with the iPhone. “When we got the exclusive deal with Apple, which we paid a lot of money for, neither Apple nor us could have predicted the uptake,” he told Computer Weekly. Now, it is a case of putting these lessons into practice. And it is up to operators whether they start now or wait until they are forced by the European Commission.